There are several places in Ireland where a visitor may swim with dolphins. The Irish seas are often cold and harsh, however, and a traveler has to plan the visit to the Irish coast in the summer months. 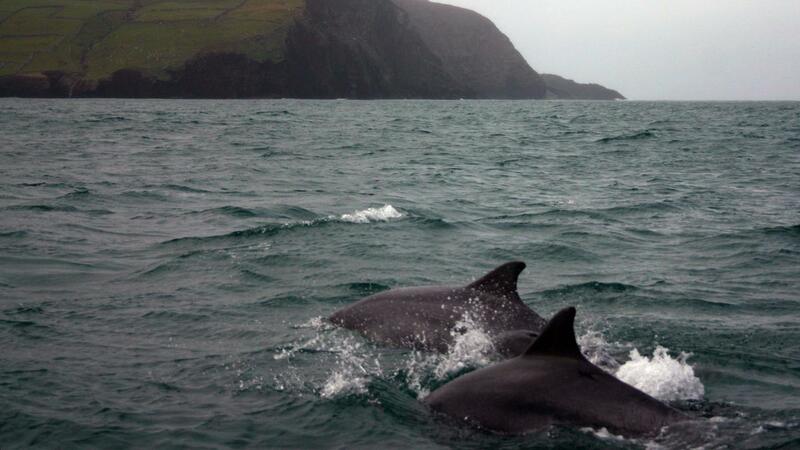 Two specific places in Ireland offer swimming with dolphins: Dingle Town and Derreen. Dingle Town is located in southwestern Ireland, near the Dingle Harbor. The harbor is the home of the famous dolphin, Fungie, who often swims with those who take a guided tour to see him. Derreen is located near Fanore, a town on the west coast of Ireland. The coves located nearby allow visitors to dolphin-watch and swim when the weather permits.